1xRUN is proud to present new hand-pulled screen prints and bronze editions from legendary 60s counterculture artist Rick Griffin! 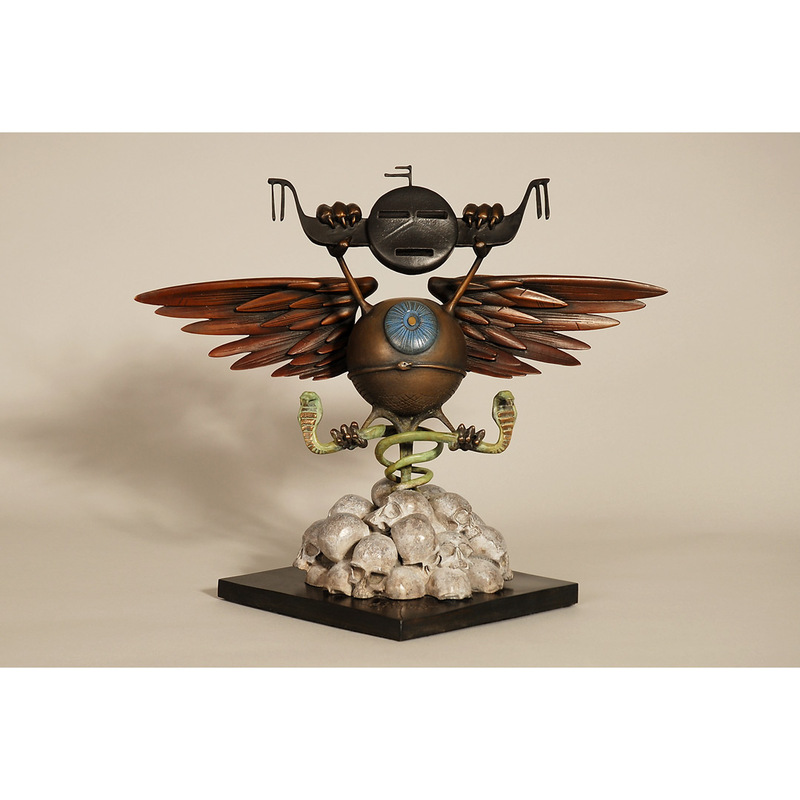 To commemorate what would have been the artist's 77th birthday we are excited to showcase two bronze Soundproof Eyeball editions from Griffin, as well as two hand-pulled screen prints from what is referred to as his magnum opus Man From Utopia! Presented in partnership with the Chambers Project and the Griffin Estate we are excited to showcase each of these editions in extremely limited quantities. Read on for a closer look inside these unique editions from Rick Griffin. . . This RUN comes endorsed by the Griffin estate and embossed with the Griffin estate stamp, and also includes a Letter of Provenance from 1xRUN. Due to sizing, this RUN does not include a standard framing option. For special inquiries regarding oversized framing email support@1xrun.com. 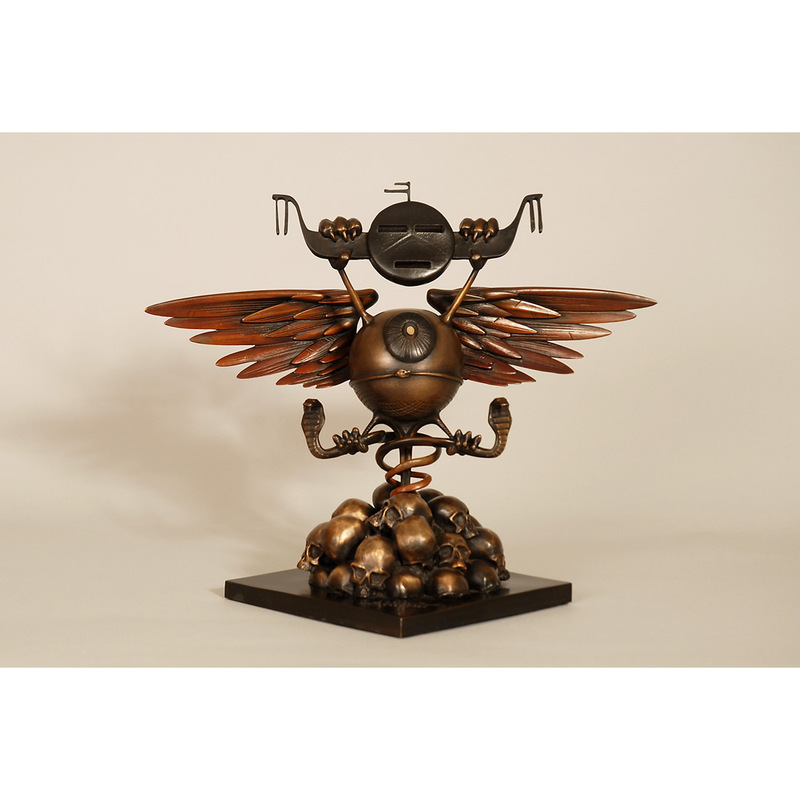 Presented in partnership with The Chambers Project and The Griffin Estate, 1xRUN is excited to offer these extremely rare editions in limited quantities. Rick Griffin was an American artist and one of the leading designers of psychedelic posters in the 1960s. 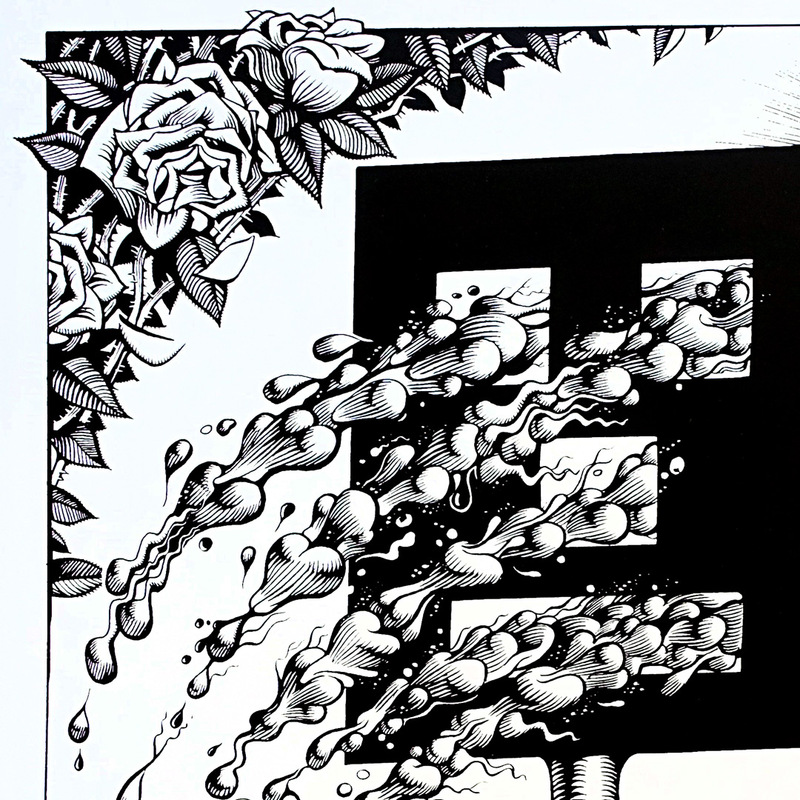 As a contributor to the underground comix movement, his work appeared regularly in Zap Comix. 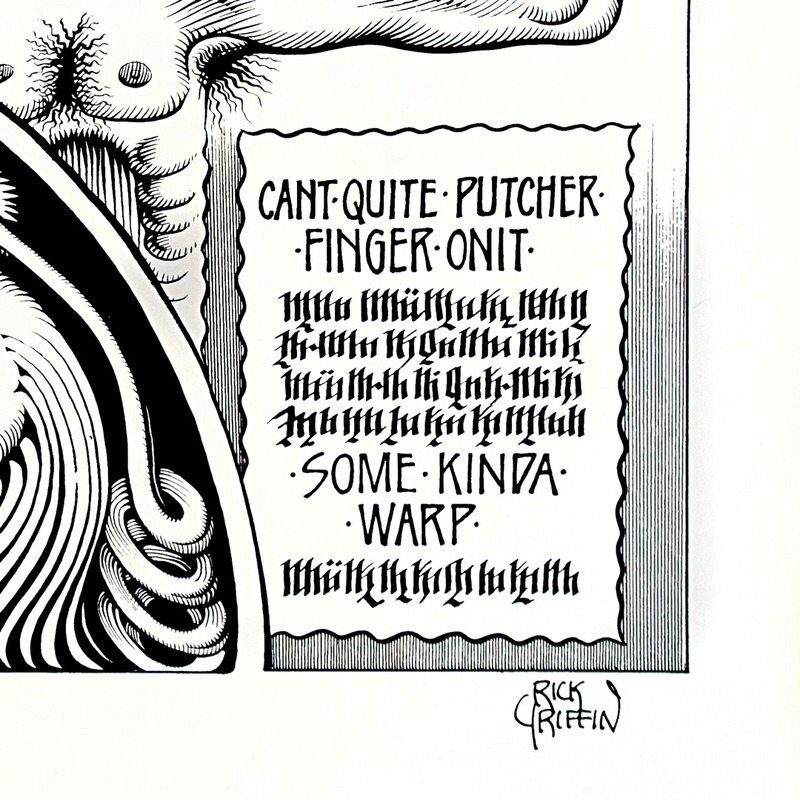 Griffin was closely identified with the Grateful Dead, designing some of their best-known posters and album covers such as Aoxomoxoa. His work within the surfing subculture included both film posters and his comic strip, Murphy. While attending Nathaniel Narbonne High School in the Harbor City area of Los Angeles, he produced numerous surfer drawings, which led to his surfing comic strip, "Murphy" for Surfer magazine in 1961, with Griffin's character featured on the front cover the following year. In 1964, he left Surfer and briefly attended Chouinard Art Institute (now CalArts), where he met his future wife, artist Ida Pfefferle. That same year, he hung out with the group of artists and musicians known as the Jook Savages. He traveled with Ida on a Mexican surfing trip and later planned a move to San Francisco after seeing the psychedelic rock posters designed by Stanley Mouse and Alton Kelley. In late 1966, the couple arrived in San Francisco, where they first lived in their van before moving to Elsie Street in the Bernal Heights district. In the mid-1960s, he participated in Ken Kesey's Acid Tests. His first art exhibition was for the Jook Savages, celebrating the one-year anniversary of the Psychedelic Shop on Haight Street. Organizers for the Human Be-In saw his work and asked him to design a poster for their January 1967 event. Chet Helms was also impressed by Griffin's work and asked him to design posters for the Family Dog dance concerts at the Avalon Ballroom, which led Griffin to create concert posters for the Charlatans. In 1967, Griffin, Kelley, Mouse, Victor Moscoso and Wes Wilson teamed as the founders of Berkeley Bonaparte, a company that created and marketed psychedelic posters. Griffin returned to Southern California in 1969, eventually settling in San Clemente.